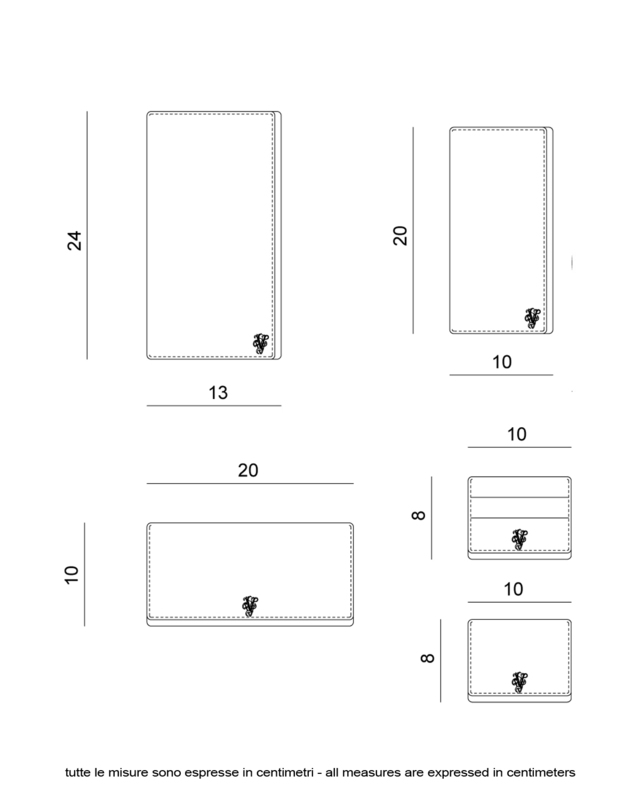 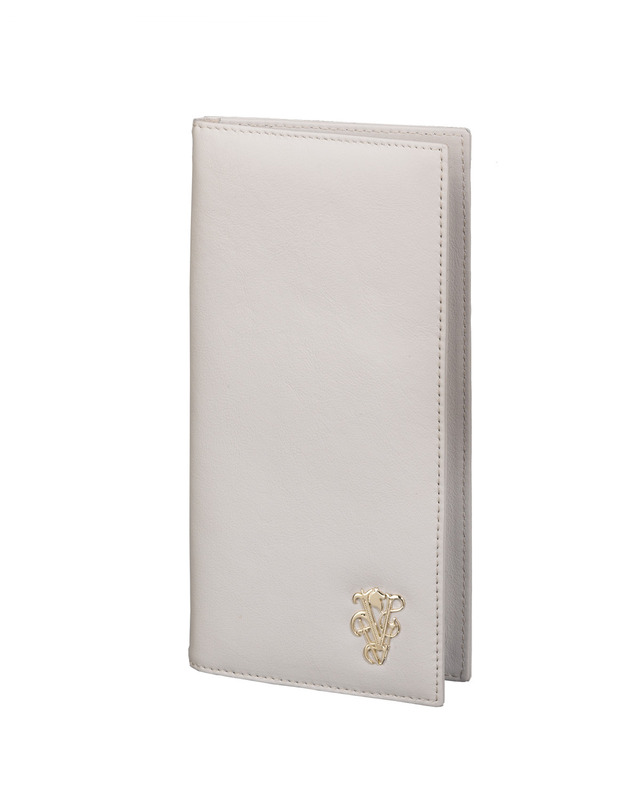 Soft ivory leather vertical wallet with internal pockets for business and credit. Internal decoration golden brass mail. 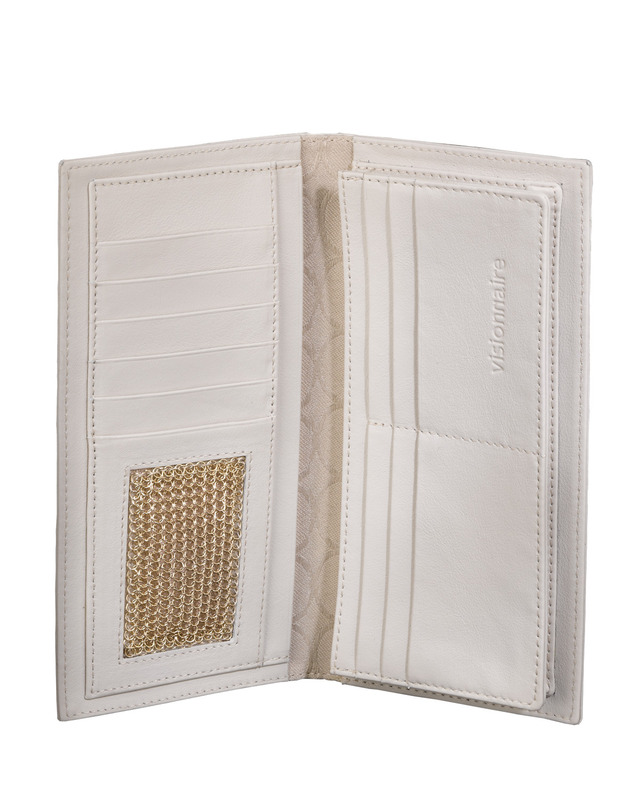 Visionnaire logo in gold metal, soft leather, ivory colour.